Thank you, internet. Thank you so much. The first photo is from Mira Loma High School in Sacramento, California, courtesy of Mira Loma Alumni and Friends. 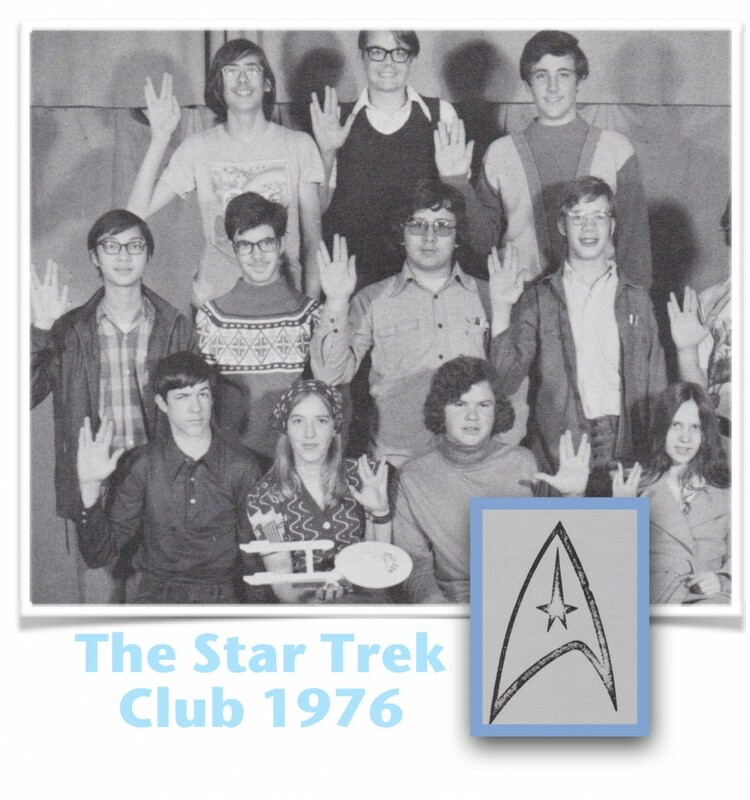 The guy on the bottom left is doing a pretty good Spock impersonation. The second photo is from Tumblr, and I couldn’t find any details when I traced it back to the source. It’s the same year or damn close. 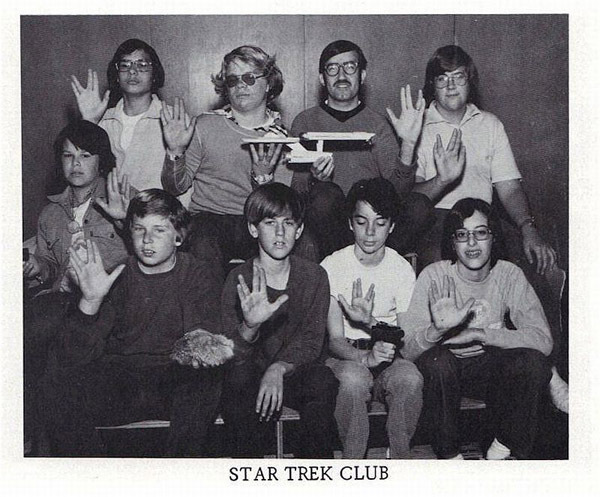 Note that the kid in the front row is holding a Tribble. Is it the same model in both photos?